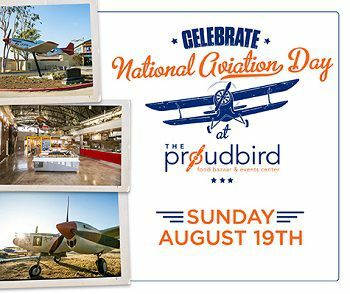 THE PROUD BIRD IS THE PERFECT SPOT TO CELEBRATE AVIATION! We have 16 aircraft throughout our property, interactive aviation exhibits, a Mile High Club Bar and Lounge with aviation-themed cocktails and stunning views of the LAX runways! Now sit back, relax, eat, drink and enjoy the ride! - $7 Aviation Themed Cocktails On Tap all day!